I have always as a logo designer followed my first basic rule when looking at logo design – Keep It Simple. Not dumbed-down simple, but ‘elegantly’ simple. A logo mark that scales from a small mobile screen to a large advertising billboard and still be clearly recognised and it’s message communicated. 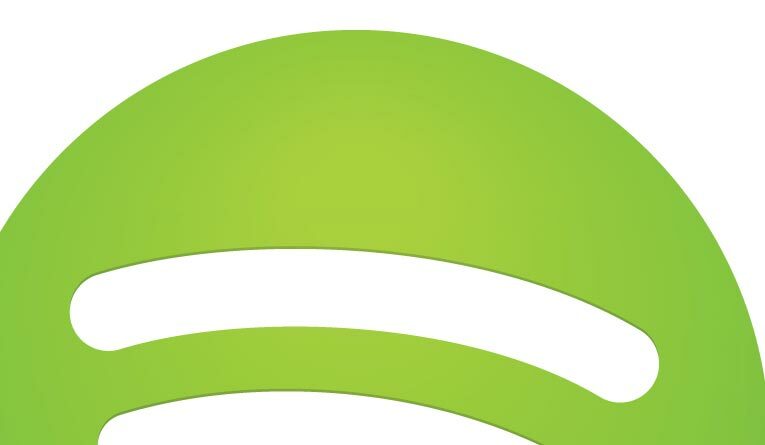 Spotify’s new logo does all this – and quite elegantly. There has been a trend lately for companies to simplify their logos and Spotify is one such well-known company who has recently updated their logomark and now appeal to a wider audience. Similar to what Microsoft and ITV in the UK have done, Spotify has followed and I think it’s a step in the right direction. First impressions last so when I first came across Spotify a couple of year ago the logo put me off. Maybe I was not their ‘typical’ younger audience that the old logo seemed to convey with it’s bouncy castle lettering – but it stopped me downloading the app. The new logo has got rid of those huge serifs and bouncy ‘o’ and based the lettering on a professional font – (‘Avenir’ I think?). Looking closely at the logo icon, the subtle shadows within the three wave curves lifts the logo a little. The new Spotify website is also simplified and looks well designed around their new brand logo style. And their new promo video, which incorporates the new logo at the end follow suit. Now with their new simplfied identity, it has appealed to me and will be looking to download the app again to try it out. Basic logo and identity design prices start from just £500. If you are interested in enhancing your business brand, fill out my Logo Worksheet today. This entry was posted in Design and tagged brand update, logo update, spotify logo.